I want to share really why I drink smoothies, even when they may not taste like the best things in the world, and are a far cry from bacon and cake. It might be redundant, it’s a green smoothie for goodness sake! But some people really don’t understand why I would drink something with spinach, beets, ginger, spirulina, apple cider vinegar, and ingredients that make smoothies not as sweet as the full fruit ones. I like them a lot, seriously. Some more than other, like if I put too much yogurt in them, yuck. Too many beets, eh not so much. And it did take some time, just like with many other recipes, to perfect the combo between green, non fruit ingredients to make it just right and oh so good. But the number one reason, they are nutritious and my body likes them. Which in turn, my organs, brain, emotional, and mental state benefit from that nutrition. It’s a huge full circle. And it makes me feel good, which I like feeling good. I worked at Jamba Juice when I was in high school, I have always loved brown rice, I was a massage therapist in a living well clinic. Health and nutrition have always been a part of my life. I do believe cake is a part of that by the way. But before the cake what is super important to me, starting the day off on the right side of nutrition. So I drink these things, and enjoy them. My body, because I do my best to listen to it, is singing THANK YOU for this! And I go about my day feeling good that I at the very least gave my body, in turn the rest of me, a reason to feel good. Finding the right balance of ingredients in smoothies can take some time. But when it happens, it’s smoothie magical. 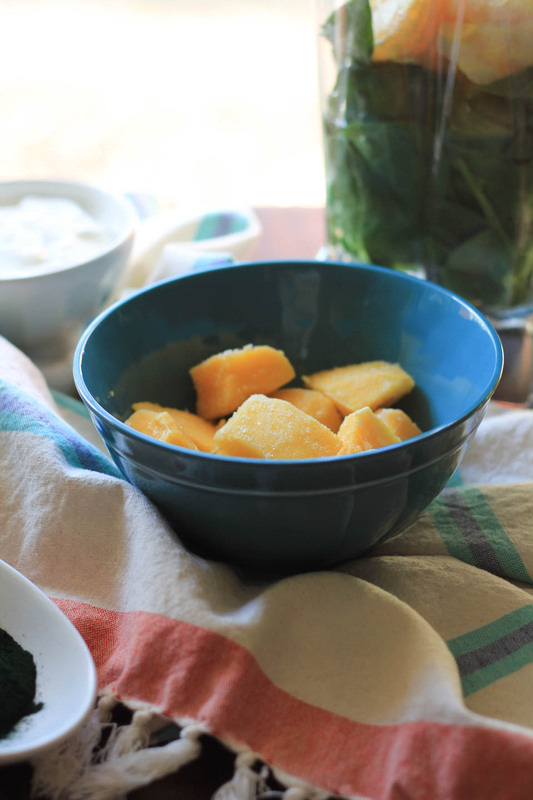 In this one I wanted more spinach and a tad less mango, even though I love mango. And I buy a huge bag of organic mango at Costco, it’s awesome for the quality and price. We also have a huge glass jar of spirulina in the kitchen at all times. I don’t add it in every time, but most of the time. Same goes for Apple Cider Vinegar. They are both good for us, but for different reasons, so I switch all week long, depending on what I am feeling. It’s taking the time to make these that makes me feel good and get me going for the day, along with coffee. I do love my coffee and green smoothies! It takes a little bit of effort to get in the habit on making smoothie, which has helped me a lot in the last couples of years getting good ingredients into my body! 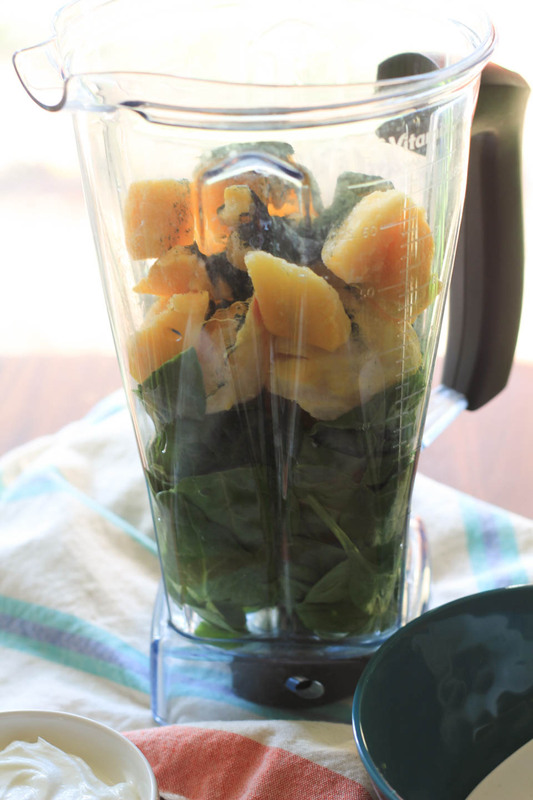 Place all ingredients in blender, blend on high for a few minutes until blended well. Enjoy immediately or place in glass, covered for the next day. Other super food smoothie recipes! Oooh yes please! This looks so refreshing and scrumptious! 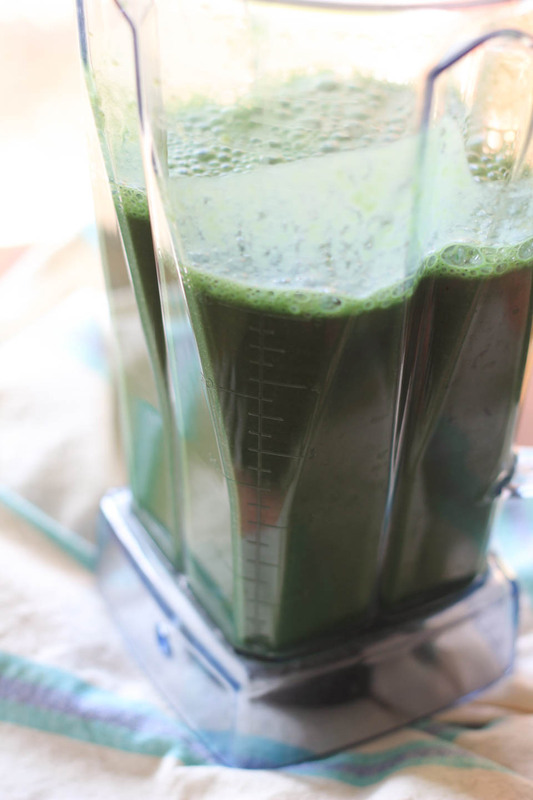 Love the addition of Spirulina; I’ve heard so much about how good it is for you! Looks delicious! 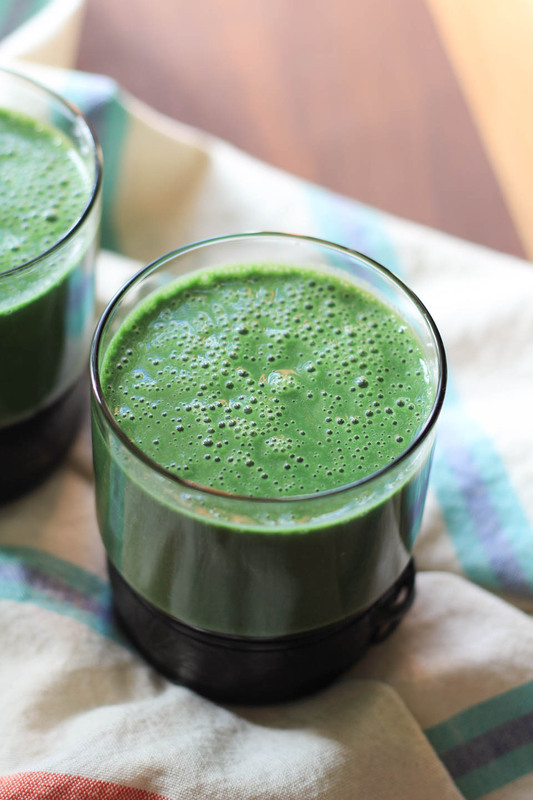 I’m on-board with green smoothies…Haven’t added spirulina to mine though! I’ll have to change that! It is great and doesn’t change the flavor much at all! I really need to get back into green smoothies. My family keeps passing cooties back and forth to each other. Oh man! Green smoothies to the rescue!!! I love a good green smoothie too, and I agree with you. They cannot be too sweet or they wreck your day. Must investigate spirulina. Oh yes! It’s super cleansing and high in so many vitamins.